Thanks robot buddy. That's the large Capacitor we need next. 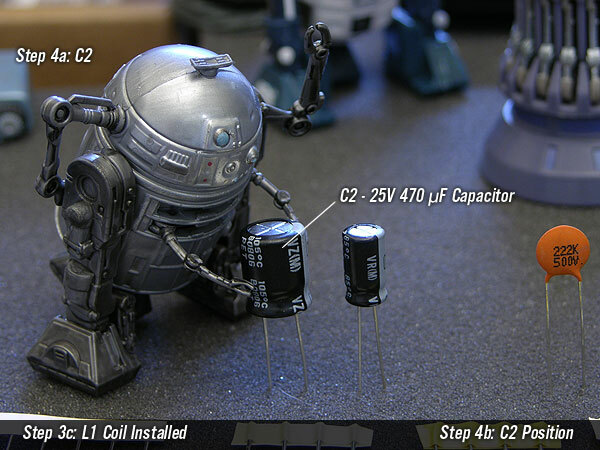 C2 is a polarized 25Volt 470 uF Capacitor. The stripe on the side with the "-" signs in a row show you the negative side. This one has to be installed the proper way!